A round or oval aperture. Often containing a window. Also called a circular arch. 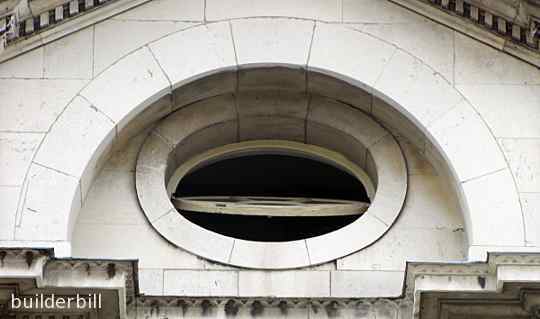 The masonry work around a bullseye window etc. A double arch with two or four keystones. 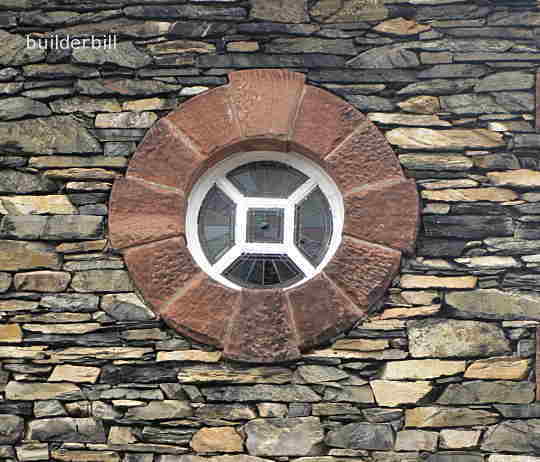 Above is a small bullseye window with a stonework circular arch around it with four keystones at the cardinal points. The quintessential full circular arch is of course the Gothic rose window gracing many European cathedrals. 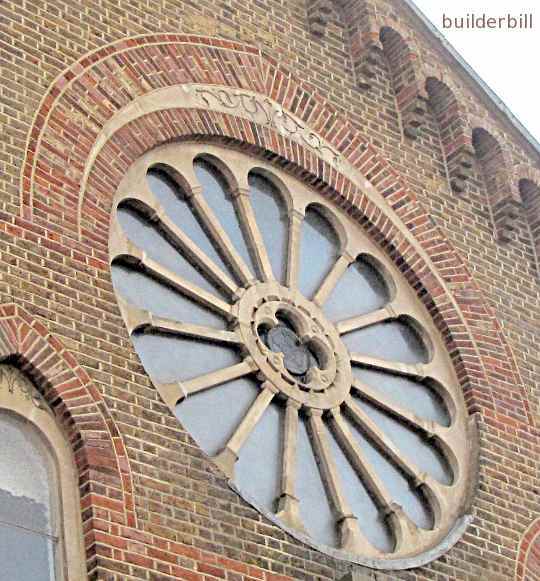 Above is a more mundane effort in brickwork to a church in Bromley in Kent. Of note here is the fact that the builder has opted not to use brick vousoirs to the lower half of the circle. this has forced him to render (plaster) the lower cut edges of the bricks. Also worth noting is the relieving arch over the main one and the cutting of the bricks at the top centre. Also again at the top of the Gothic arch at the left. The feature at the eaves is an arched corbel table. The photo above shows an full elliptical arch that can also be termed a bullseye.